PSA: Xbox 360 Dashboard Update "Slightly Delayed"
UPDATE: The Dashboard Update is now available. There have been reports of strange errors, however. Note that we’ve fired up our console and snagged the download without a problem. Major Nelson, Microsoft’s Xbox LIVE and Xbox 360 community representative, has taken to Twitter to deliver a message to the masses: today’s scheduled Dashboard Update has been slightly delayed. 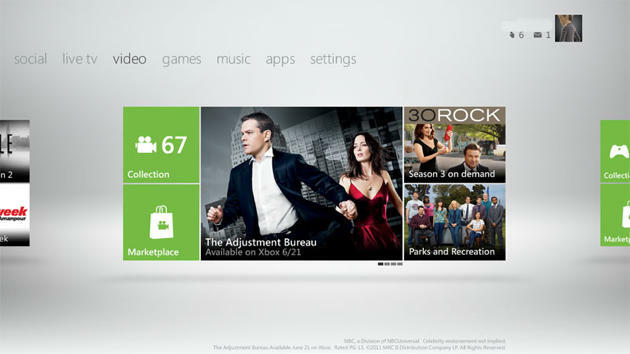 If you fire up your Xbox 360 in hopes of finding the brand new look and feel, you will be disappointed. Once the update officially releases, we’ll be sure to update this post for the great Buffalo herd. Don’t worry, friends, odds are that you would have booted up the update, enjoyed it for 30 seconds and then hopped directly into your next session of Skyrim. This delay has actually done you a favor… you’re that much closer to slaying dragons than you would have been had it released on time. There, I said it. Now, don’t you owe your Xbox an apology?